Herald and Greeley Squares have long been major destinations for commuters, tourists, and shoppers. Starting in 1998 with improvements to the parks, the 34th Street Partnership started making improvements to the area to meet the pedestrian demand. 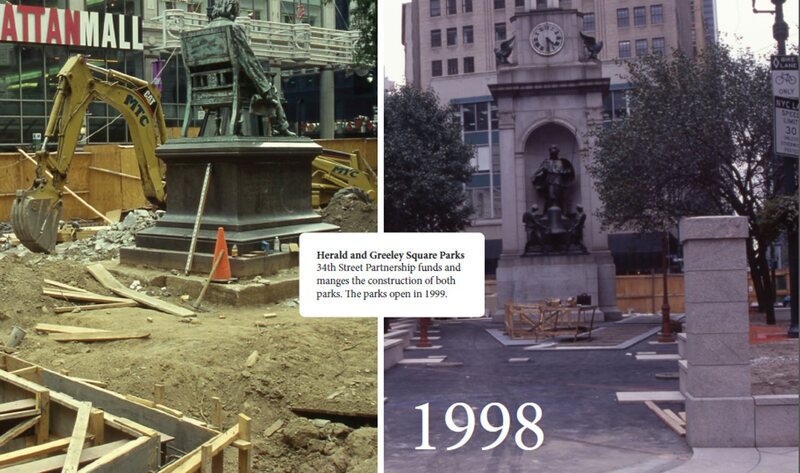 Adding much needed circulation space in interim materials, the DOT piloted a program to expand pedestrian space around the parks and adjacent sidewalks in 2000. 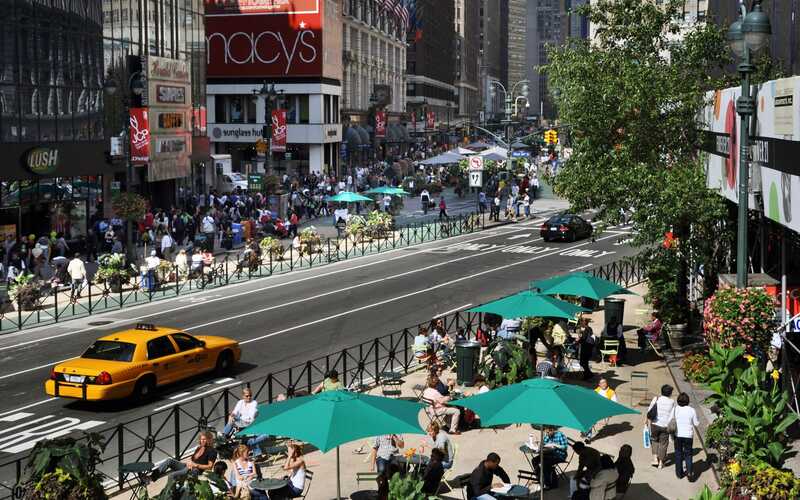 In 2009, as part of the Green Light for Midtown pilot project, DOT created plazas with interim materials adding both circulation space and programmable space. The pedestrians plazas at Herald and Greeley Squares have been hugely successful. 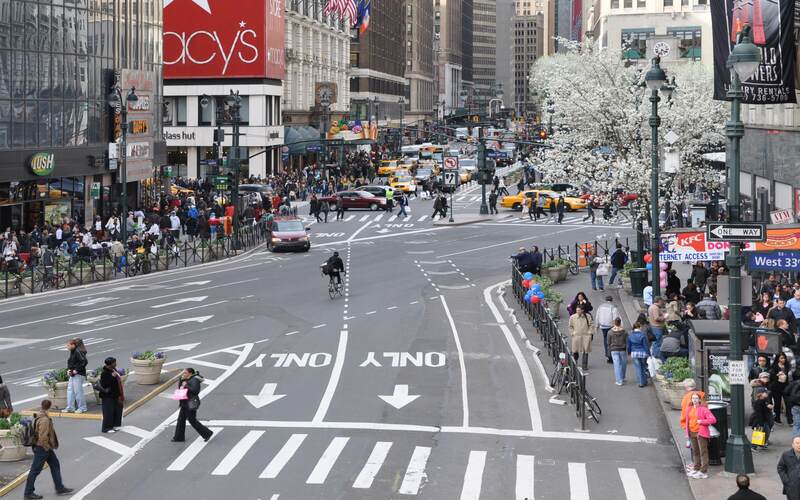 In January 2010, NYC DOT released an evaluation report for the Green light for Midtown Evaluation Report. What they found was that the creation of the plazas in 2009 significantly improved safety in the area. Between the years 2006-2009, 267 crashes were reported. Between the years of 2009-2012, crashes decreased by 51%. Even after 2009, NYC DOT has returned to the neighborhood in a number of instances with additional bike connections, public space enhancements, and SBS routes.